52 year-old Michael F. has had multiple sclerosis since 1985 and made his first application to cultivate cannabis as part of his self-therapy in 2000. Medicinal cannabis flowers were still banned in Germany at that time and the application met with numerous rejections, court proceedings and a search warrant, under which Mr F.’s home-grown medicine was seized. F. was the first patient in Germany to beacquitted of illicit cultivation and possession on the grounds of a “justifying necessity.” The police even had to give him back the confiscated cannabis in 2004. Of course, after the introduction of the exemptions for medicinal cannabis, Michael F. was also one of the first to receive a document of this kind from the BfArM. The problem was that he couldn’t afford the flowers costing €15/gram despite his exemption, and his health insurance company refused to pay for medicinal cannabis on principle. Following the rejection of his application to grow cannabis at home, the patient instituted proceedings against the state of the Federal Republic of Germany in order to force it to allow him to grow the plant for self-care by way of exception. Although he won the first two cases in 2011 and 2014, the Health Ministry appealed after each defeat. So it was that on 6 April, the case came before the Federal Administrative Court in Leipzig, Germany, which is the highest and final court for constitutional proceedings. In a clearly worded judgment, the Federal Administrative Court then instructed the state of the Federal Republic of Germany to grant the claimant the requested permit. “He has been treating the symptoms of his illness by means of the regular use of cannabis since about 1987. He was most recently acquitted of a charge of unlawful possession and cultivation of narcotics in January 2005. The criminal court regarded his actions as justified because no alternative therapy was available to him […]. According to section 3, paragraph 2 of the Narcotics Act (BtMG), the BfArM may issue a permit for the cultivation of cannabis only in exceptional circumstances for scientific or the other public interest purposes. In this exceptional case, the treatment of the seriously ill plaintiff with home-grown cannabis is in the public interest because, according to the binding findings of the Court of Appeal, the ingestion of cannabis leads to a considerable relief of his symptoms, and there is currently no equally effective and affordable drug available to him. The purchase of so-called medicinal cannabis from a pharmacy (which also requires a permit) is unsuitable as an alternative treatment for cost reasons. His health insurance company has repeatedly refused to pay the costs. […]. Furthermore, as a result of years of self-therapy the plaintiff now has extensive experience in terms of the efficacy and dosage of the cannabis variety he grows. Moreover, both the cultivation and the therapy are under medical supervision. Neither may permission be withheld under the international Single Convention on Narcotic Drugs of 1961. Under these conditions, the granting of the exemption is […] legally mandatory, which means the discretion available to the authorities is effectively reduced “to zero”. The authority of the BfArM to grant permits with incidental provisions remains unaffected,” according to the press release from the court. The incidental provisions relate to the necessary safeguards for the cultivation area. The BfArM no longer has much room for manoeuvre here: the body has already attempted to obstruct the issuance of growing permits by imposing safety requirements that would have cost the patient tens of thousands euros. This chicanery has already been declared unlawful in court. In the case of Günther Weiglein, the safeguards proposed by the patient, which he can perform for a few hundred euros, were declared sufficient by the Administrative Court of Cologne. But the Federal Health Ministry also appealed against this judgement in 2014, which is why Günther Weiglein still does not havea permit to this day. His case will be heard by the highest court in the near future. If the BfArM has not offered Mr Fischer a viable option for growing his medicine himself by then, this last point will also be decided by the courts. However, the Federal Government has no interest in pursuing the case following this judgement. The Federal Administrative Court had the last word in the government’s defeat on exceptional approval for the acquisition and possession of cannabis from pharmacies in 2005, before the first medicinal flowers were imported from the Netherlands by Bedrocan. It is certain that the government has definitively failed in its attempt to prevent the cultivation of medicinal cannabis by patients. When, over a decade ago, cannabis patients were forced to take their fight for the right to medical care to the courts, the state wanted to prevent them getting real hemp flowers at all costs. At most, it was prepared to discuss standardised cannabis-based drugs such as Sativex or Dronabinol. Twelve years later, the establishment of a Cannabis Agency is a done deal, the first patient will soon be allowed to grow his own cannabis, and in the foreseeable future those who are unable or unwilling to do so will have the opportunity to obtain the drug grown under controlled conditions with the seal of a state cannabis agency. That is, unless the government starts supplying the drug at affordable prices in the near future. However, that is not merely unlikely but impossible. 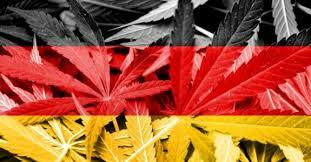 The establishment of a cannabis agency and the development of sales and production will take years, if we compare Germany to other countries, such as Canada. At the same time, demand will increase, because the exemptions will be replaced by regular medical prescriptions under a planned legislative reform. That in turn will lead to a rapid rise in the number of patients in the short term. A few months ago, officials were hardly expecting to be facing payback for their stubborn stance so soon and so thoroughly. 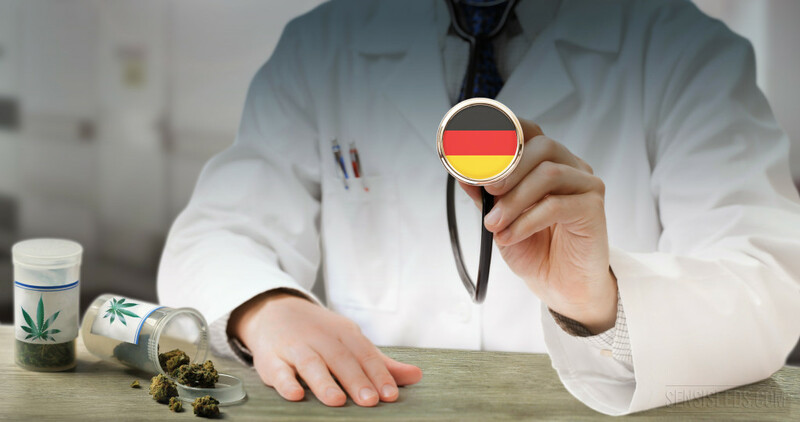 „The [German] Association for Cannabinoid Medicines invites approved cannabis patients in Germany to file an application for cultivation of their own medicine with the Federal Institite for Drugs and Medical Devices (BfArM.) By doing so, the pressure on the government grows, especially after the verdict of the Federal Administrative Court.”, Dr. Franjo Grotenhermen, the chairman of ACM says.